Police have uncovered a bizarre murder after pulling over the culprit while he drove around in the victim’s car. 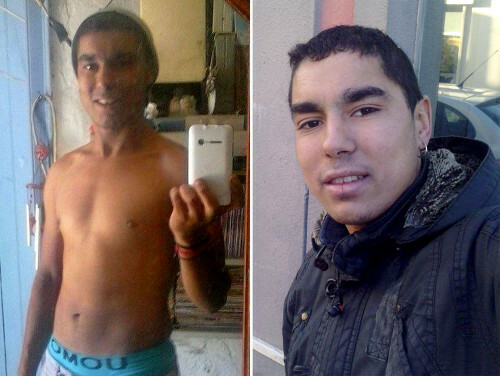 It was only after Portuguese police officers stopped Eugenio Filipe Reicha that the body of Simon Carley-Pocock was found. Discovered slumped at a remote villa in Algarve, Carley-Pocock had evidently been speared to death. Pink News reports the ex-accountant was brutally murdered by Reicha after they both went back to the villa over the weekend. The crime was only discovered once Reicha was pulled over. He was tooling around in Carley-POcock’s Audi A4. A small knife was discovered on the Portuguese man when he was searched and he ended up confessing to killing the British man who owned the car although with a different weapon, which he said he had thrown out of the car window,” a spokesman for Portugal’s PSP police said. “The Portuguese man says they had known each other for a while and met on Friday and went back to the Brit’s house together. Investigators are trying to confirm whether or not the killer was working as a rentboy. There’s speculation that he was sleeping with older men for cash.